For those of you who may or may not know several years ago Gary Gygax began plans to finally complete and publish his Castle Zagyg Dungeons. 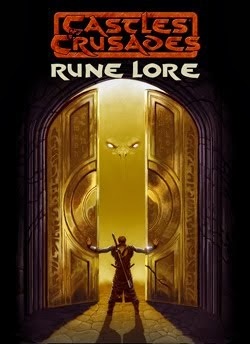 He contracted Rob Kuntz to help him edit the existing material and flesh out and write those sections of those legendary dungeons that had never seen the light of day. 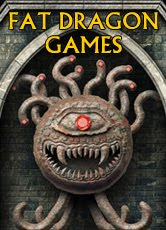 This massive undertaking promised to bring a host of long desired adventuring material to the gaming public, including the original dungeons whose long lost halls played witness to the unfolding and creation of a whole new game genre. Rooted in the history of the game, Gary used the dungeons to test game ideas, mechanics, traps, but most of all to terrorize his players! At conventions and at home, Castle Zagyg grew to monstrous proportion, as that diabolical mage created ever more elaborate dungeons. The project, as conceived in published form, came to consist of a setting book and city; the Castle itself and the dungeons which lay beneath. In all, a multi-volume set, packed with fun and adventure of truly legendary proportions. 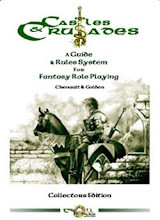 Early in 2004, Rob began work on an introductory module; Dark Chateau (published TLG, 2005, Kuntz), and continued bringing the Castle itself up to speed as Gary put the finishing touches on his Castle Zagyg setting book, Yggsburgh (published TLG, 2005, Gygax). The response to the Yggsburgh book warranted more material. As Rob continued work on the Castle, Gary gathered a creative team together to flesh out each of the neighborhood sections of that sprawling city, Yggsburgh. Recently Rob turned over the bulk of his re-drawn maps for the Castle level to our artist and cartographer, Peter Bradley. Several weeks ago, Rob offered Gary his resignation, citing time constraints created by other projects. There was also a difference of opinion in the marketing direction which Rob wanted to take the project. Gary invited Rob to explain in full the direction in which he would like to see the project go. Rob replied in full. After due consideration, Gary felt that it would not be in the project’s best interest to follow Rob’s path and he accepted Rob’s resignation. There was enough reason to warrant the acceptance. Rob desired to use the "original" maps as the best way to go. Gary asked, "Which "original maps"? Perhaps the 13 I originally did for the first version of the castle, along with the "side level" maps I aded? Or perhaps versions of those maps as altered by PC's actions such as when Robllar, Tenser, and Terik took over the 1st level of that original dungeon and barracked their orc soldiers there? Perhaps the original maps where some of my old levels were removed, a new and larger 1st level added, and many of Rob's dungeon level maps were intersperced with my old ones as well as about 30 new ones I did for the revised and expanded castle? Of course communication ways between levels were most often off then, so that the points where stairways and other means of access had to be fudged." The Castle and Dungeons were and remain a dynamic creation in progress. As any good GM knows, role playing games are fluid and the creative juices never stop flowing. 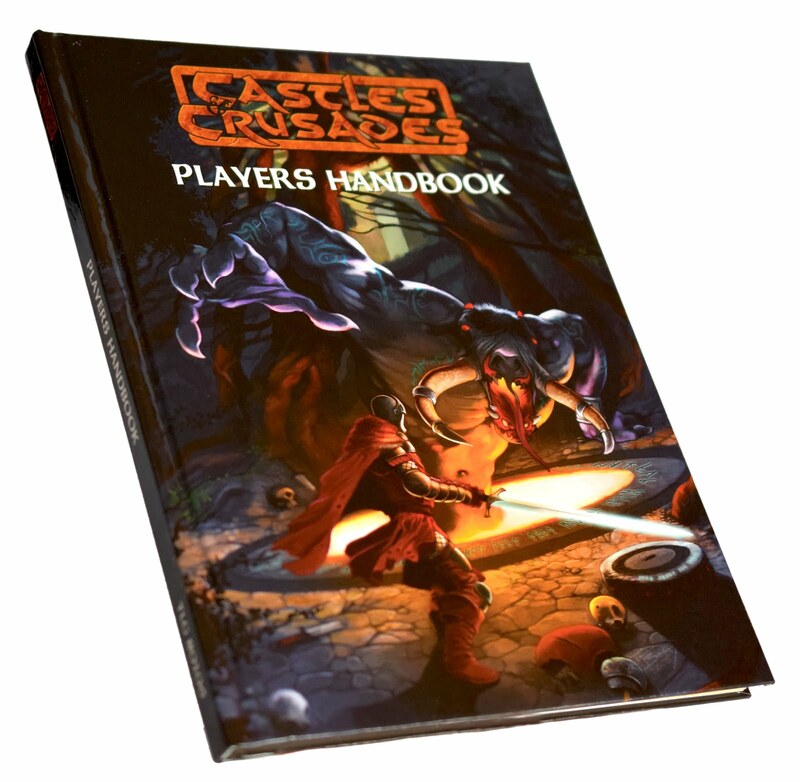 Gary believes a revised and coherant set of new levels that have the same feel and spirit as was in the original versions of the ever-changing Castle dungeons makes ultimate sense for Game Masters and players alike. Of course the new versions of the dungeon levels will be packed with the old, often fanous or infamous ecounters that were in all the vestions of the work, as well as some new and unexpected ones as well. After all, the old school does not mean stasis and lack of improvement. Speaking of that, as Gary has continually pointed out, the original levels had encounter notes taking up one line on a page. He created most details on the spot, and Rob learned to do the same. Any version of the original levels would be revised, because the encounter material from them would be unusable by most of the GMs that acquired it, mainly because they would have no idea how Gary and Rob would have managed the scant information, spun it into a richly detailed scenario. In the future, some colectors will surely wish to acquire the original maps and encounter notes, but those are not anything useful for the GM and players desiring to experience the essence of what adventures in the renowned setting was like. We also believe that marketing the products through all available channels better serves the gaming community than a limited-channel approach does. Concerning the project itself. This will no doubt have an impact on the project. Though take heart. Gary has been hard at work bringing on the city itself, bringing his notes up to speed so that the designers of the city modules are all on the same sheet. This has by necessity required him to finish a great deal of his adventure notes on the dungeons themselves, recently finishing a 14 page chart of encounters, both mundane and fantastic. Gary’s greatest concern is that the project maintain that ‘feel’ and ‘spirit’ which guided its original creation. To this end he isn’t going to parcel the work out to the many qualified people that he works with and TLG can offer. Though I cannot speak for him, I understand that his intention is to retire from his semi-retirement and rejoin the slog! 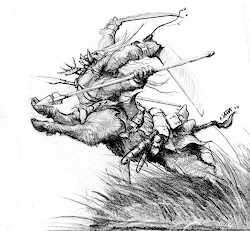 (In truth, as much as I bug him with various and sundry projects, I wasn’t aware that he had semi-retired, but I’ll take his word for that) Rest assured, Gary Gygax and TLG are committed to bringing this project to you. The resources lie at our hands to bring Gary’s creative genius to light once again! The Castle Zagyg Dungeons will appear as Gary Gygax originally conceived them. To this end, this changing of the guard is going to allow us to re-tool our approach with the Castle Zagyg dungeons and bring it to you in a form that is easier to use, more cost affective and all the more fun. But more on that later . . . .